In the last two decades - the so-called "golden age of TV" - the opening credits of television's prestige shows have become increasingly complex and detailed. These range from the virtuoso-editing of The Sopranos to the groundbreaking photography of True Detective; from the vertigo-inducing silhouettes of Mad Men to the downbeat ennui of Bojack Horseman. These sequences are often works of art in their own right, both introducing the show and adding something crucial to it. Yet, amidst this growth of elaborate, visually complicated opening credits, there has also been something of a reaction against it. Some high-profile shows like Lost, Girls and Mr Robot have all but done away with these sequences, preferring instead a kind of bold, against-the-current minimalism, a quiet statement of intent. Somewhere in between these two extremes lie the shows that offer a less-drastic breed of subtlety; rather than eliminate the credits entirely, they provide brief and simple visual offerings. Here are ten of the best opening credits that make an impression without outstaying their welcome. Breaking Bad may be one of the best TV sagas ever, but its opening titles were a little underwhelming, if not altogether cheesy - it consisted of the periodic table (exciting!) and some wafts of smoke more reminiscent of marijuana than meth. 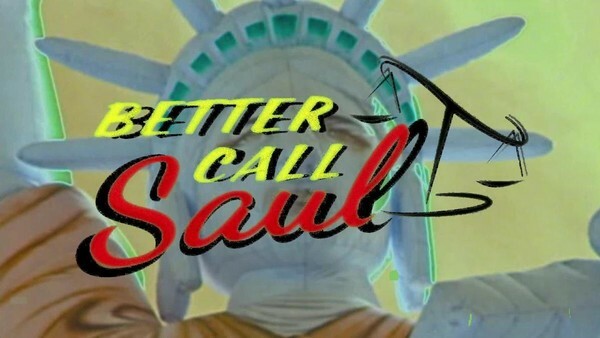 Its spinoff Better Call Saul, however, uses much more subtle, experimental titles that vary from episode to episode. They feature scene-setting close-ups - with a graininess reminiscent of B-roll from Saul's amateurish commercials - set to a grimy blues guitar lick that ends abruptly. It’s disorientating at first but suits the show's offbeat, understated approach, and the unprofessional editing of each segment matches the homemade, rough-around-the-edges charms of Jimmy himself. As a subtle Easter egg, the subsequent season's opening titles utilise the same footage, but with degraded image quality, suggesting the passage of time, and introducing a quiet sense of foreboding as the show hurtles towards tragedy.